At our agency, travellers from anywhere can charter different categories of motorcoaches with driver. In accordance with the desired number of seats, our agency can help you reserve coaches of all sizes within North Rhine-Westphalia. Your travel group can choose among the following available coach categories. Whatever you prefer, the team of City Tours Europe can guarantee to use the most outstanding buses, minibuses and microbuses from North Rhine-Westphalia for your transfers. Motorcars with operator in North Rhine-Westphalia: For those customers who want to book a normal passenger car, a vintage street car, or a saloon car, we are eager to help you charter any type of car with a driver within the borders of North Rhine-Westphalia. With equal pleasure, we can also take you to Lower Saxony, Netherlands, Wallonia (Belgium), Rhineland-Palatinate, Hesse, as well as to all communities, cities and regions of Germany. Tiny and small coaches with operator in North Rhine-Westphalia: For tours and transfers of medium and small tourist groups, we recommend chartering of minibuses and midibuses with motorist in North Rhine-Westphalia. 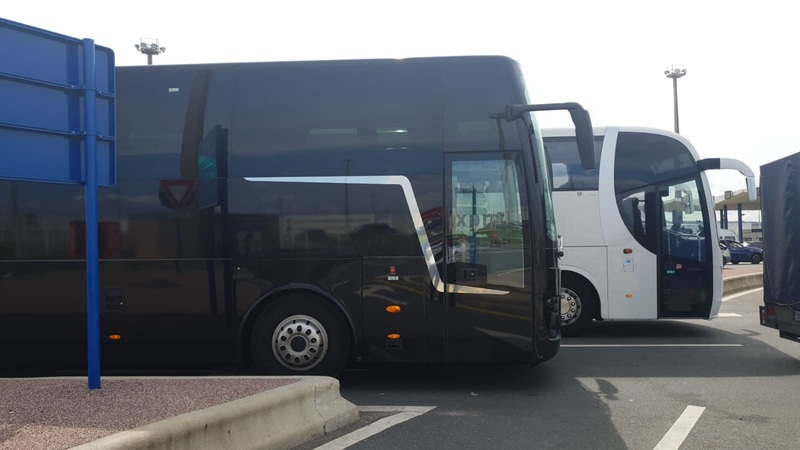 And additionnally, we do also rent out medium-sized and small-sized buses for transfers within and to Netherlands, to Belgium, to Luxembourg, to France, to Switzerland, and in all other countries of Europe. Large motorbuses with operator in North Rhine-Westphalia: For large groups, our agency will be happy to help you book regular sized buses as well as two deck coaches with driver for all street tours in North Rhine-Westphalia and all over Germany. Self-evidently, our customers can order our reliable buses for movements beyond the limits of Germany, notably to Luxembourg, Netherlands, Switzerland, Belgium, and France, or to other destinations in Europe.
. To avoid misunderstandings, please specify the subsequent specifications in the description of your needs: quantity of passengers in your group, place to meet and place to end, itinerary and eventual stops, hiring timeframe. In line with this information, we will speedily send you an estimate for your upcoming car, minivan or coach travel in Germany and all of Europe. Hire coaches everywhere in North Rhine-Westphalia and anywhere in Germany.